so when you’re ready to go, you’re not having to fuss with product that just doesn’t work. Dustin Butcher is the Creative Director for G3. And he is as passionate about his craft as he is for working with his colleagues at the company. He lives for making the backcountry experience as uncomplicated as possible and his passion resonated when we spoke with him last week. What defines the backcountry experience for G3? We don’t make any products that are purpose built and used at the resorts. Our products are designed for short hikes outside the gates, big expeditions where you are completely off the grid, or anything in between. We find that the majority of our customers are that in between. The backcountry experience has always existed. All we do is try to make that experience better, smoother, and to make it so you don’t have to think about your gear. You just want it to work and disappear so you can have a really awesome time. And that’s where the G3 brand excels. How has the brand refined itself ? 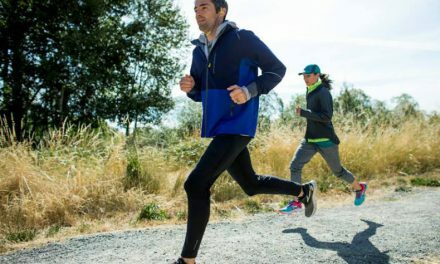 We make gear that is a perfect balance of lightweight to high performance. Over the last four years we refined that message from what the brand looks like, our brand messaging, our products and all of the details that gives us our leadership position in the market. Who is the G3 customer? 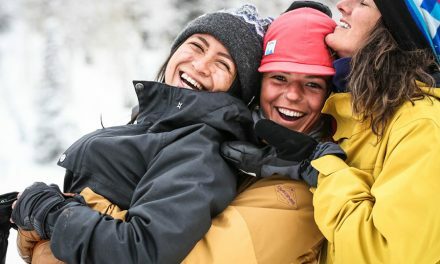 They are the dedicated backcountry user who spends a few days a week backcountry skiing and who really wants their gear to perform at high levels. The Zed Binding, shown left, that we launched last year at OR is a perfect example. 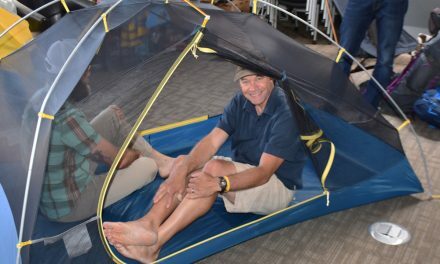 It is extremely lightweight for backcountry travel but does not sacrifice performance for downhill and includes all of the safety features you need. We used our engineering and development expertise to take the product to its lightest limit. What are the products your excited about and that we’ll see this week at OR? We have a very exciting year in front of us. Our main categories of products are skis, bindings, and skins. We do very well in ski poles, our snow tools category, our packs that we launched last year, but skis, bindings, and skins are really our big categories. 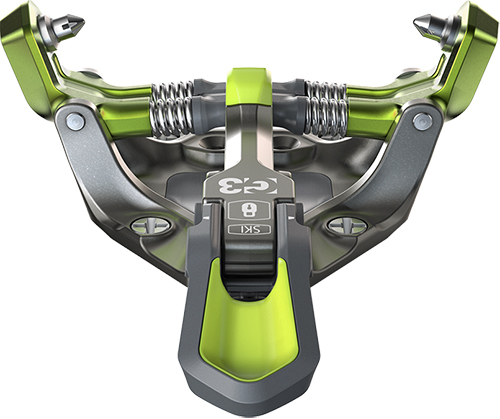 We launched the Zed Binding last year so we don’t have a new binding this year. But in skis and skins, we have very exciting product coming out. The flagship ski in our line that fits the ski mountaineering category is the Findr, shown below. It is being relaunched for 2020. At G3 we are proud to be a Canadian brand, and the Findr is a product of our heritage. 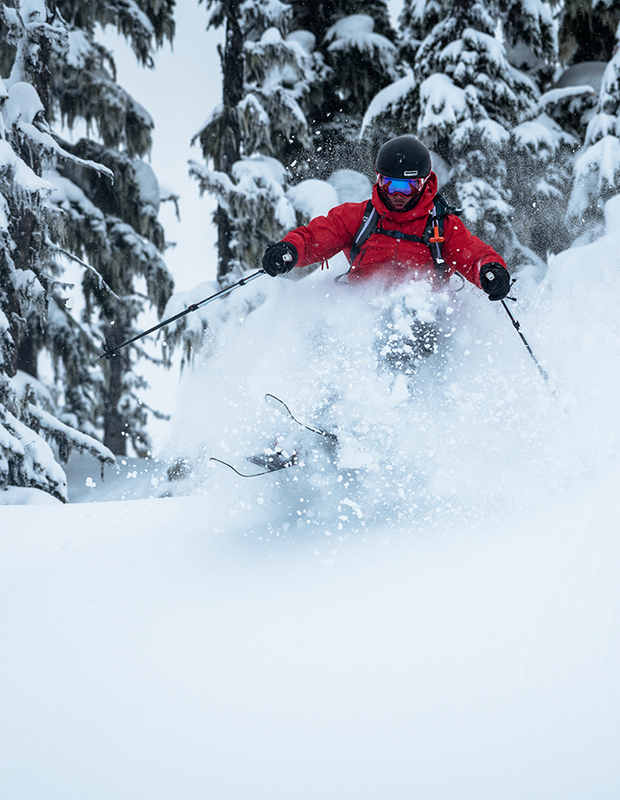 Made in Canada, the high-end full carbon fiber precision mountaineering ski is built for steep and technical terrain. This is a skier’s ski at a very high level. It features our polyurethane sidewall, that we use in all of our skis, which helps damp the chatter from the carbon fiber, and skis feel like a much heavier and beefier ski. New to the Findr series are magnetic contact points — two at the tip and two at the tail. 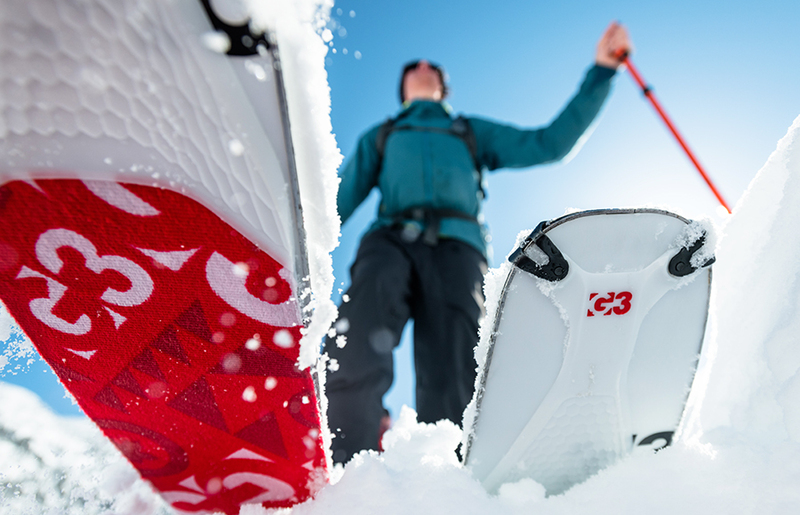 The skis will actually snap together making bootpack transitions quick and easy, and eliminates the need for straps when shouldering your skis. No company has ever put magnets in skis before. We also reduced the weight by 20-to-70 grams depending on the ski size compared to the previous version. It comes in three models – 102, 94 and 86mm underfoot. One of our goals with skins over the past several years has been to push the limits to make the experience better. Last year we launched the Alpinist Plus line. We extended the urethane tip and added cool technology to it. This year we have two big launches. The Minimist is the lightest possible most packable skin we make while still being that fully featured climbing skin and our Escapist Skins. The Minimist is the culmination of years of work to really figure out all the different performance textiles we could use from other demanding sports applications plus use our innovative engineering to push the limits even further. 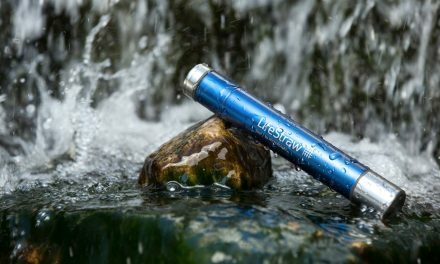 Every Minimist skin is up to 30-percent lighter than anything else in its performance class and can pack small enough to fit in your jacket pocket. The low-bulk materials matched with the minimalist tip and tail system create a tightly packed roll that doesn’t require any extra room in your pack. We have three Minimist models the Minimist Universal in 100-percent nylon, Minimist Glide Mohair 70-percent mohair/30-percent nylon, and Minimist Speed, 100-percent mohair. As is the case with all our skins, they are made in Canada. 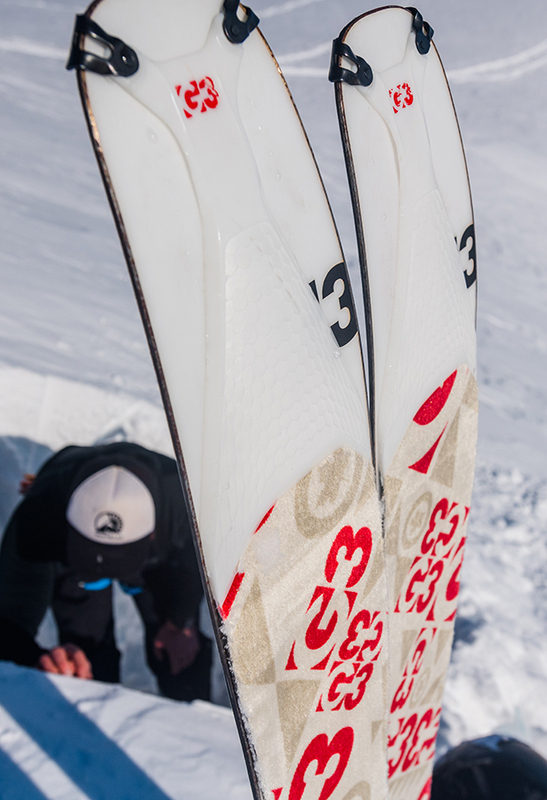 The stiff tip of the Alpinist+ skins has proven to be effective at avoiding snow creep. To achieve the same result in the Minimist, we feature a carbon fiber insert at the tip of each skin that creates a directionally rigid platform that prevents snow creep underneath the skin and degrading the glue over the day. If you skin a lot and you want to make that experience better, you want to be on the Minimist. It’s ultralight, it is super packable, it’s eliminates snow creep, it has all of the pieces that you want to make that experience better. This year, if you don’t count split board, if you just talk about ski skins, we have nine different models of ski skins. For a certain user, area and the way they like to get out into the backcountry, we offer the perfect skins. We have testers all over the world in all different climates and mountain zones, to really make sure that our climbing skins work any where in the world. And our trim tool is the best in the industry. That leads us to our next new skin, the Escapist. The Escapist is special in that this takes a lot of pieces of the higher end things that we do with our skins and brings it to the do-it-yourself, more affordable climbing skins. The Escapist is easy to set up and doesn’t require any tools other than the included G3 trim tool and a marker. With just two lengths per width, the Escapist is a perfect solution for the retailer that doesn’t want to carry a lot of climbing skins they don’t sell-through often. It takes maybe 10 minutes to set up your pair of skins as opposed to 40-45 minutes that people would most likely need to set up one of their skins with one of the existing systems that are out there. Our objective is make it easier on the user and on the retailer. What do you see as the future trends in backcountry skis? 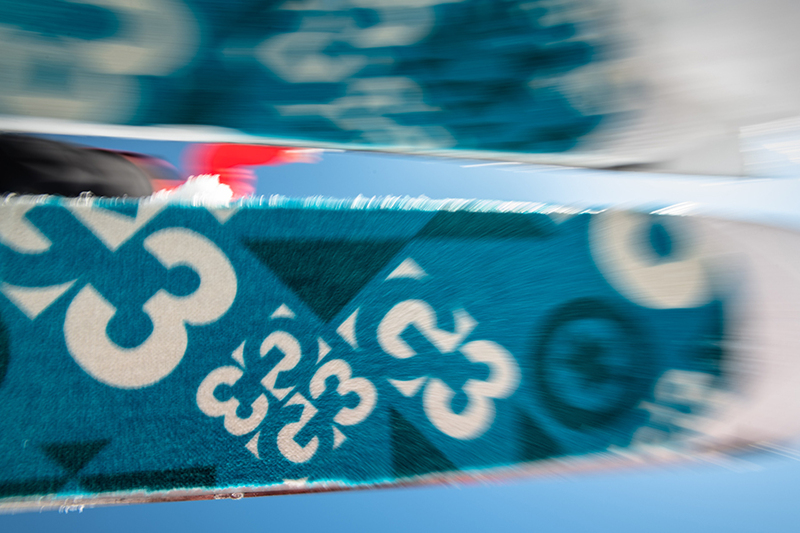 There is a limit to how light skis can be; brands will continue to try to find that perfect balance between uphill and downhill performance; engineering and materials that will continue to drive weight down without sacrificing performance; and for Skins, having all the performance at the lightest weight possible with innovative adhesives, plush materials, and packaging.